honda nsx and nsx type r - J's Garage Export Co., Ltd.
1990.10 : Honda introduced a high-tech sportscast, the all aluminum body NSX had a 2977cc DOHC V6 engine with VTEC variable valve timing. 5-speed manual (280PS) or 4-speed automatic transmission (265PS) can be chosen. The Honda NSX adopted all-aluminum 4 wheel double-wishbone suspension, TCS, 4ch ABS, electronic power steering, and driver SRS airbag. 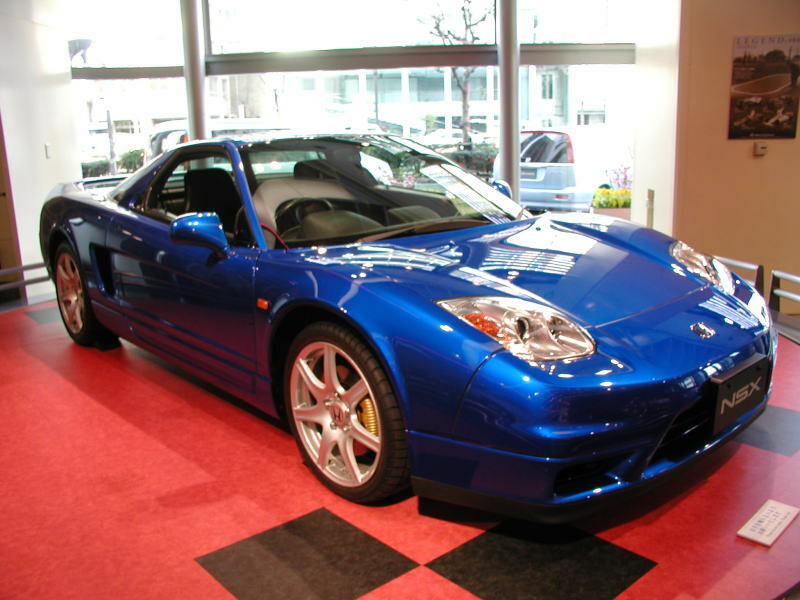 1992.2 : The Honda NSX Type-R was introduced. (1992-1995) In Type-R, weight was lighter by about 120kg, and RECARO seats and a MOMO steering wheel were fitted. As for the suspension, hard type was adopted. Limited production to 1995. 1993.2 : Manual transmission NSX equipped with electronic power steering and security system. And, all models adopted a passenger SRS airbag. 1994.2 : Type-T targa-top was introduced. The type-T adopted inside-rear-canopy roof storage system. The DBW electronic throttle and F-Matic manual-feel automatic transmission was developed. It was equipped with torque-reactive pre-loaded LSD and twin-tread tires with superior anti-hydroplaning. 1997.2 : The manual transmission NSX got new larger and more powerful 3.2 liter engine which is mated exclusively to a new 6-speed manual transmission. Strengthened gaskets, crankshaft pins, and piston pins for a new 3.2 liter engine were adopted. Moreover, it was equipped with a stainless steel exhaust manifold, dual-mass flywheel, 16 inches brake rotors, and stronger suspension. Electronic power steering, F-Matic shift control were improved. The high-performance version Type-S and more lightweight version S-zero were added to the NSX line-up. 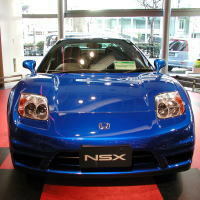 The Honda NSX Type-S was lighter by 45kg than the base NSX. The NSX type S-specific BBS alloy wheels lost 4kg of weight. It was equipped with Recaro full-bucket seats and a MOMO steering wheel. High Intensity Discharge(HID) headlights with twice the brightness of halogen lamps was also adopted. 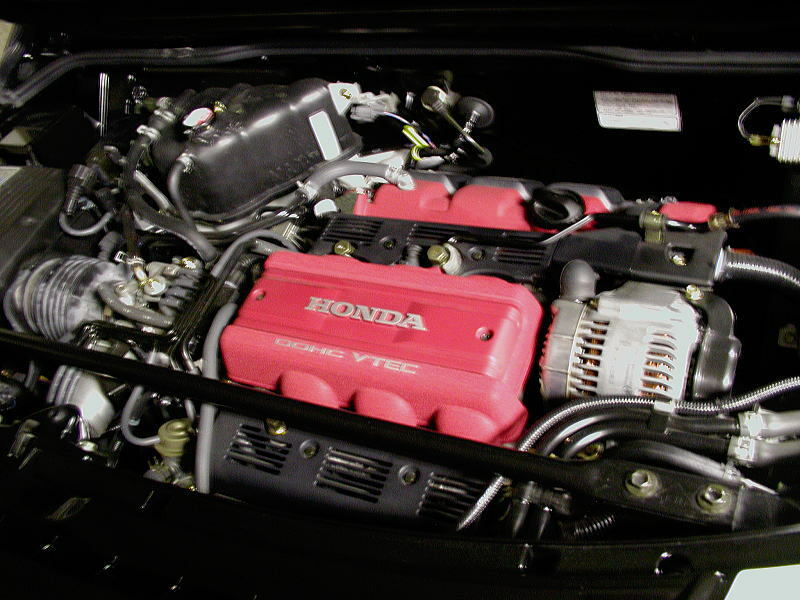 1999.9 : The NSX got LEV (Low Emission Vehicle) engine. Double-cone synchronizers used in 5th and 6th gears of manual transmission. The program of a ECU was changed, and the acceleration response was improved. 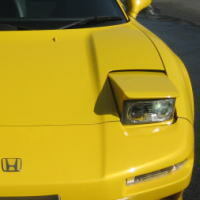 2001.12 : The Honda NSX got new aerodynamic styling. 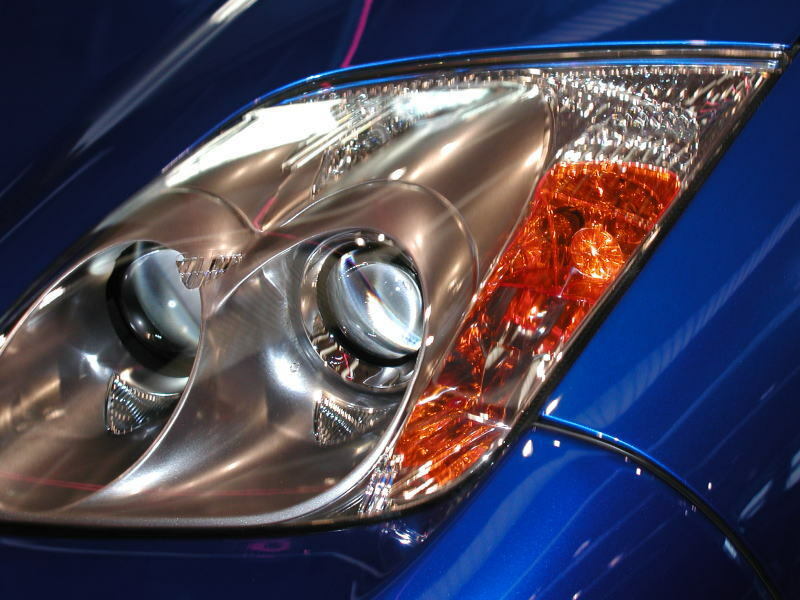 A fixed headlight was adopted instead of the pop-up type headlights. 2002. 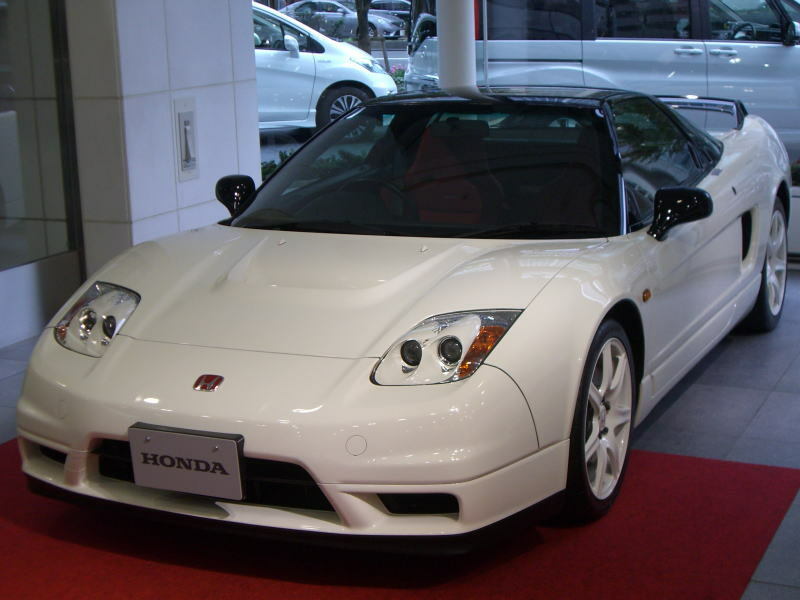 5 : Honda announced the release of the new Honda NSX type-R.
2003.10 : The Honda NSX was equipped with a immobilizer and a CD Changer. May 2002. Honda added the new NSX type-R that further enhanced driving performance. 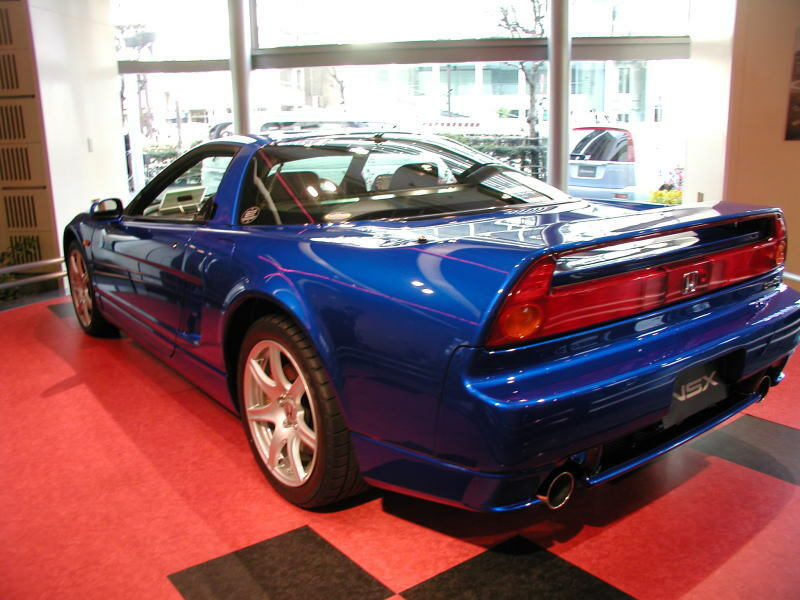 The previous NSX type-R was released as limited production of three years in November, 1992. Then, seven years later, it was reintroduced in an all new form. The NSX type-R has improved aerodynamics to significantly increase vehicle stability and cornering performance at high speeds. Aerodynamic lift of the NSX type-R has been reduced to below zero through the use of a carbon fiber hood with air outlet duct, finned front under cover, a rear diffuser and a carbon fiber rear spoiler. 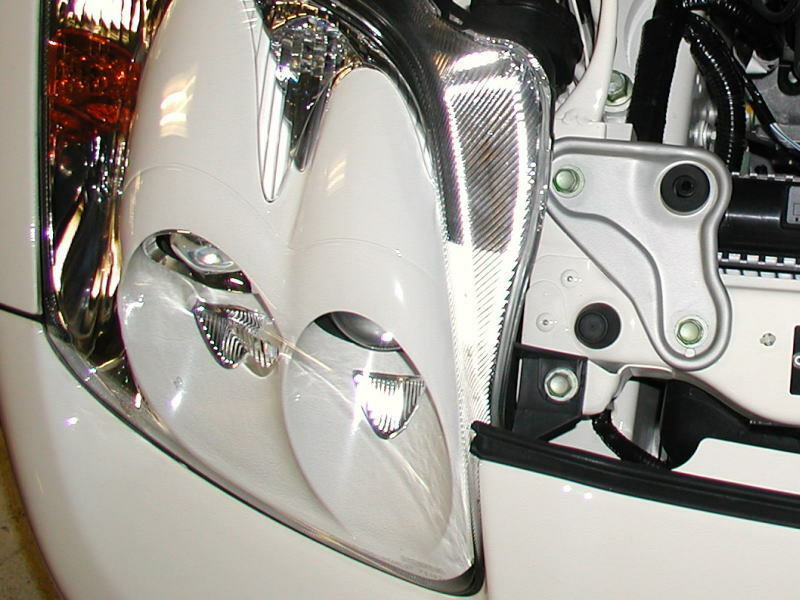 The V6 3.2L DOHC engine employs racing engine assembly technology, such as precision balancing of pistons and connecting rods between each cylinder, for enhanced output efficiency and nimble response. Moreover, the engine employs the same kind of high precision dynamic balanced clutch cover, fly wheel and pulley assembly as is used in racing engines. To obtain the maximum effect of this high-precision balancing, weight tolerance of the piston and connecting rod pairs has been controlled to within about half that of the base model NSX. The electronically-controlled Drive by Wire(DEW) throttle has been tuned to reach full throttle at a pedal angle reduced from the previous 81 degrees to 68 degrees, resulting in an accelerator pedal stroke reduction of some 8mm. A hard-tuned suspension, more rigid body, and special roll rigidity balance settings has been resulted in superior handling performance in tight turns. Specially designed POTENCY RE070 tires with an asymmetrical tread pattern was selected, and lightweight forged aluminum wheels that have been jointly developed with BS was adopted. The NSX type-R is also fitted with 16 inches slit-surfaced brake rotors, high performance brake pads, a high response brake master power cylinder and custom-tuned ABS. The interior of the NSX type-R is equipped with a ball-shaped titanium shift knob, a lightweight mesh shift boot, a leather wrapped MOMO steering wheel, and RECARO carbon fiber Armand full bucket seat. 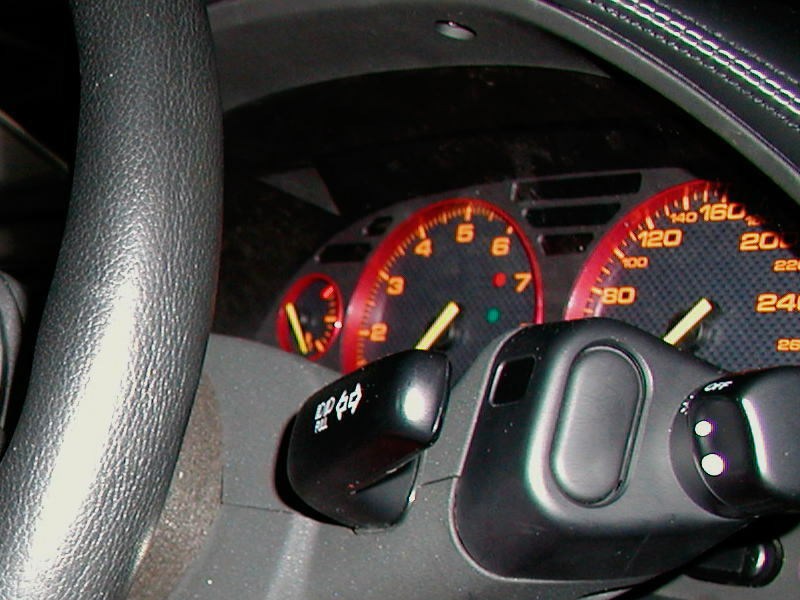 The shift indicator uses green and red lights which flash then light up to indicate the power peak and rev limit, respectively, promoting more precise up shifting. The introduction of carbon fiber parts has resulted in further weight reduction. Moreover, the rear partition glass has been made thinner and high-Matt rubber employed in the instrument panel, for painstaking weight reduction right down to the last gram.